It was the mountain of plump, shiny gooseberries which first caught my eye. Piled in an old-fashioned wicker basket, each had veins so delicate, they might have been painted on by hand. Then I noticed him, sitting in the shade, bent over his task. Methodically, he topped and tailed the glossy fruit: slice, slice, then dropped them into a huge stainless steel tub at his side—plink. He was dressed in chef’s whites, but his head was bare, his hair no more than a few wispy strands of grey. I had spent the first part of the morning exploring the walled vegetable garden, where eager beans climbed wigwams to the sky and plump marrows lazed on the soil. The garden was well-tended: patches of damp earth and a faint peaty smell told me the crops had been watered early in the day. The sweet peas had been well-picked, as is necessary, to encourage fresh growth. I wondered who was the lucky recipient of the scented blooms. By now, the sun was high. The imposing orange-brick walls refused entry to any hint of breeze. My hip was troubling me; I was in need of a sit-down. Where better than the tearoom? At National Trust properties, they are a reliable choice for quality baking and tea served in a proper pot. With my handbag slung inelegantly across my body and awkward walking stick hooked over my arm, I managed to carry my tray outside to the patio. I saw first the fruit, then its keeper. From the speed he was working, I hoped the gooseberries weren’t needed for today’s lunch. ‘They’re keeping you busy this morning,’ I said to him as I shuffled by. I never used to start conversations with strangers, but recently I’ve found entire days can pass without me speaking to anyone. There was precious little shade on the patio and I couldn’t face the indignity of grappling with one of the furled umbrellas. A small round table next to him was vacant. ‘I’m going to sit here in the shade, if you don’t mind.’ I leaned my stick against the wall of the building before lowering myself carefully towards a little wooden chair. My joints shrieked and I had to allow gravity to take me the last couple of inches. Fortunately, the chair held. One of these days, it wouldn’t. ‘You help yourself, my dear.’ He reached for a cloth to wipe his fingers. It was lying on the table almost next to his hand, but it took him a couple of pats to find it. I looked more closely, nodding to myself as I understood. He was almost blind. ‘Are they going in a pie, then?’ I sipped my tea gratefully. Again, he looked in my direction and I saw his cloudy eyes. Cataracts, almost certainly. I had the luxury of being able to observe, without him knowing I was staring. I guessed he was in his seventies. Apart from his eyes, he seemed to be in good health. ‘Oh yes, I’ve cooked for the rich and famous,’ he continued. ‘Made lunch for Elizabeth Taylor, once. Trout, it was. Trout with almonds.’ He stared off into the distance for a few moments before resuming his work. His fingers were still nimble, just slow. ‘I’m sorry.’ I coughed awkwardly. I said nothing, but drank my tea and listened to the steady rhythm of his work. 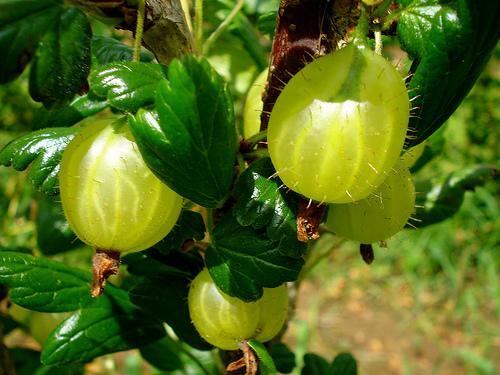 The plink of falling gooseberries had changed to a plunk: he must have filled up the bottom layer of the tub. That made sense, with no mother and a father gone to pieces. I poured extra hot water into the pot and hassled the bag with my teaspoon. I murmured, so he would know I was listening. ‘You won’t get me near those places now.’ He stopped slicing for several seconds. I hadn’t started off in paediatrics. That was the most popular ward, and I wasn’t pretty or funny or persuasive, like the other new nurses. So they sent me to oncology. There, I witnessed white pain and dark suffering that twisted my stomach and sent me running to the toilet to retch. After the first year, I learned to see without remembering, to touch without feeling, my emotions for the patients as starched as my uniform. My thirty-seventh birthday turned into thirty-eight and then thirty-nine, and Fred and I still hadn’t had a child. The gap in our family threatened to swallow me. I went to the hospital administrators and told them that unless they transferred me to paediatrics, I would leave the profession and train as a teacher. Within three months, they moved me to a children’s ward and that’s where I stayed for the next two decades. I might not be a mother, but I shaped the lives of thousands of children. I thought of the pitiful tomato plants in the back garden of my house, the home Fred and I had bought when we were first married. My vegetable bed was growing more weeds than food this year. Darned hip. I had waited stubbornly until it was unbearable, before seeking help. Foolish mistake. ‘And it’s not really a dish for a day like today.’ My patch of shade was shrinking and I shuffled my chair back a fraction. He had paused in his work, his head lifted, as if he were looking out across the estate, to where the deer were grazing peacefully. ‘I’m sorry to hear it,’ he said. ‘You’re a cheeky lass.’ He gave a chuckle. I had finished my tea and gathered my things together. I found my stick, then hoisted myself up, using the edge of the wobbly table for support. ‘Who knows, you might be making game pie this autumn,’ I said. As I walked away, I tried to read his expression. But with his eyes so foggy, there were no clues, just the gentle nodding of his head in time with his work. This entry was posted in Issue 13:3 and tagged A Midsummer Tale, Contest Winners, Fiction, Pauline Wiles by TC Editors. Bookmark the permalink.